I've told this story several times before, but one of my favorite gaming memories involved a Tenchu-themed birthday party, which is no doubt one of the nerdiest things you've ever read. The gist is that Tenchu II had a level editor, so a few weeks before I let all of my friends (around 10 people) borrow the game in succession, and make their own stages to save to a memory card for the big event. Then we had a round robin tournament with everyone playing every stage with permadeath rules to decide who could beat the most. I ended up tied with a friend of mine (also named Chris) in a finale that had as much commotion as a home-grown eSports event. 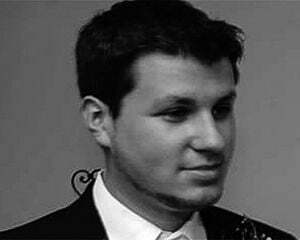 I'll never forget it. 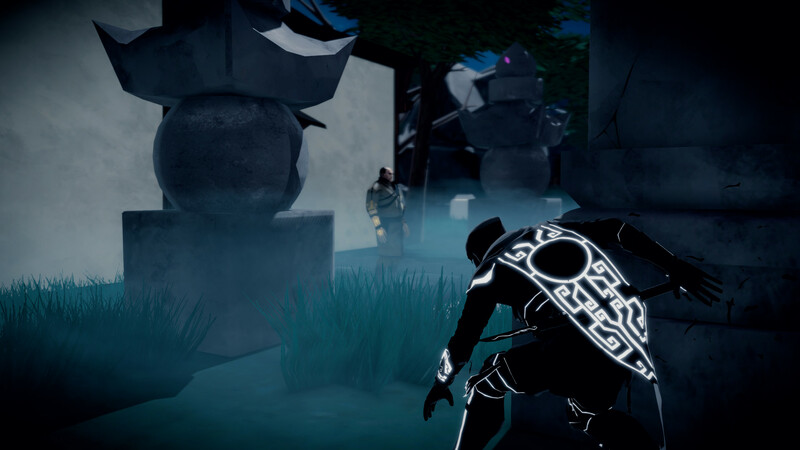 We don't really see that level of stealth anymore outside of the occasional release like Shinobido or the Metal Gear series, and Aragami seeks to change that, with a melange of results. Hats off to Lince Works for a stunning presentation. Kicking off with a beautiful opening salvo from artist Two Feathers, the appropriate soundtrack really gets you in the mood for some ninja action, and the titular Aragami is memorable enough to appear in other games as a guest star, Shovel Knight style. At the crux of his mystic look is the rune system, which shows up on his cape as a visible magic meter of sorts for dark magic, and on enemies, who utilize light magic. It reminds me of Bayonetta's demon and angel dichotomy (which have reversed roles) in all the best ways, and the built-in meter allows for a minimal UI that doesn't get in the way. An "Aragami" itself is actually a vengeful spirit in this game's world, and you happened to have been summoned by a young woman who's clan was ravaged by an evil force. There's no real political intrigue or nuances to explore (nor are there layers of pulp or grittiness to it), it's just straight to the point -- you're a ninja, and you need to slice some dudes up. To do that, you'll employ the whole gamut of action-game powers, like teleportation (which doubles as the platforming system since there isn't a proper jump), the ability to create your own shadows to draw power from and sneak around in, and other ancillary things like incinerating bodies (since you can't move them by default). Several of these work around the game's limitations, which are evident even in the tutorial system. 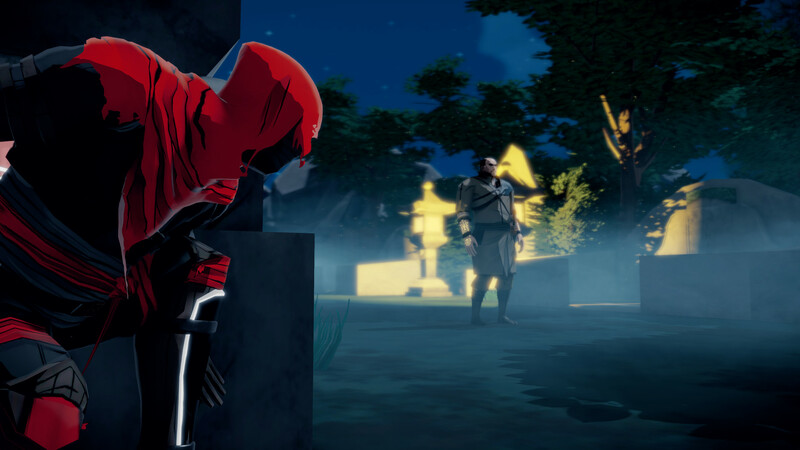 Stealth is king in Aragami, no exceptions. If you're the type of person who likes to circumvent sneaking (Metal Gear is a perfect example that facilitates brute-force tactics), you're going to have a bad time. Enemies can kill you instantly at melee range, and most of them have a ranged projectile slice that can also -- guess what -- kill you instantly. Then there's the subject of light sources (like torches or lamps) draining your powers temporarily, and you have one tough-as-nails premise. Oh, and some light technical problems, like objective markers not appearing (this only happened twice, to be fair) pop up from time to time. But like most challenges, Aragami is one you can rise up to if you're willing to put in the time and effort. Once you've acquired scouting powers to tag enemies, projectiles like kunai to throw, and traps to set, your options really open up and the world becomes your playground. Sure it's frustrating to have to follow the same few tactics early on only to have them fail, but after that next checkpoint, you'll pick up something new, whether that's a literal ability or a new thought process. And the environments, while not as sprawling as I'd like, are big enough to warrant experimentation like that. I noticed a lot of cordoned-off areas that you sadly can't get to (especially from a vertical standpoint), but there are plenty of opportunities to get creative and get past patrols using multiple methodologies. You'll get around 10 hours worth of story and if you're so inclined, and there's online-only co-op, which I was not able to test out. 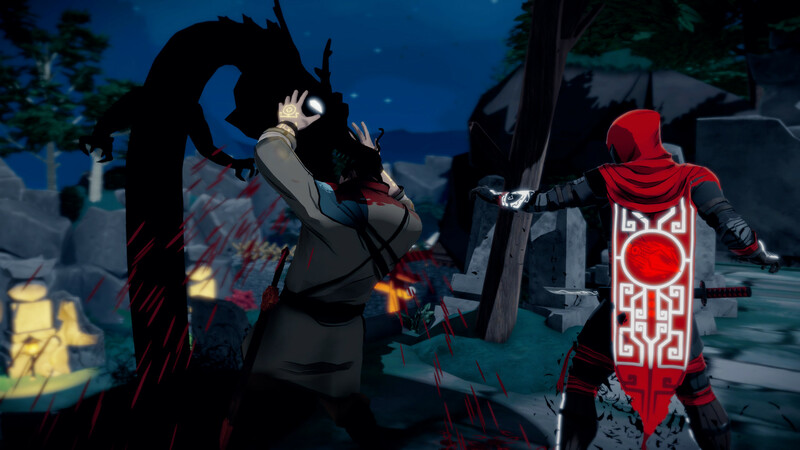 Although the occasional technical issue and odd mechanic put a damper on things, Aragami has its heart in the right place. It's strict adherence to stealth with no ifs, ands, or buts will turn some people off, but it'll speak to a lot of old-school fans who are sick of experiences that allow you to blast your way out of everything.